Exuding charm and mischief, Lancôme's Trésor Midnight Rose Eau de Parfum is a playful, seductive fragrance perfect for day or evening wear. Opening with captivating notes of jasmine, bold blackcurrant, fiery pink pepper and charming bouquets of peony, enhanced by rose absolute and delicious raspberry before settling into voluptuous vanilla, musk and cedar essence accords. Housed in a striking purple bottle decorated with a satin rose bow. 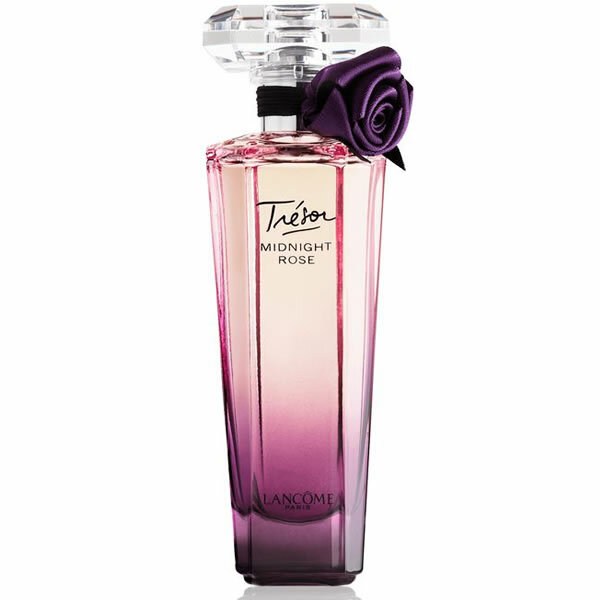 Exuding charm and mischief, Lancôme's Trésor Midnight Rose Eau de Parfum is a playful, seductive fragrance perfect for day or evening wear.